Texas now has a professional team... the Austin Aces tennis team. New owner, Lorne Abony, purchased the Orange County team last year and brought them to Austin, Texas. We're grateful he did. While you have not seen Andy Roddick at the US Open or Wimbledon for several years, he did not retire from tennis. Roddick has been playing for eight season with World Team Tennis (WTT). 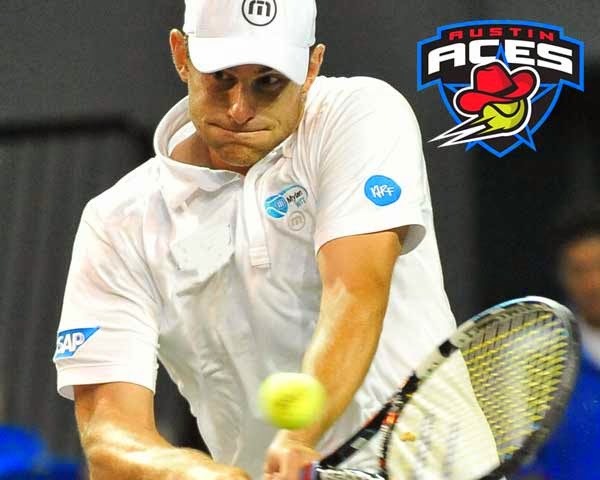 This year Roddick will be helping WTT Austin Aces win the championship in its inaugural year. Here are three reasons why we're excited about Austin Aces and WTT. 1. Roddick is back. The former world #1 player and hometown favorite, Andy Roddick, will be leading the new Austin team. Enough said. 2. The tennis viewing will be tops. Cedar Park allows for a more intimate setting and promises to have up-close-and-personal access to the starts for the audience. 3. Because a bunch of other greats are part of WTT. Check out the Austin Aces team! Other WTT stars include Venus Williams playing for the Washington Kastles and James Blake playing for the Springfield Lasers. The Austin Aces schedule provides a listing of upcoming home and away games. We're proud to be the Austin Aces official sports medicine physicians and hope to see you there.